STAAR scores for Texas students finally came out on July 5th. For 4th grade writing, it literally took 13 weeks. The other tests took forever, too. We took the tests in early May and got results in July??? Really. 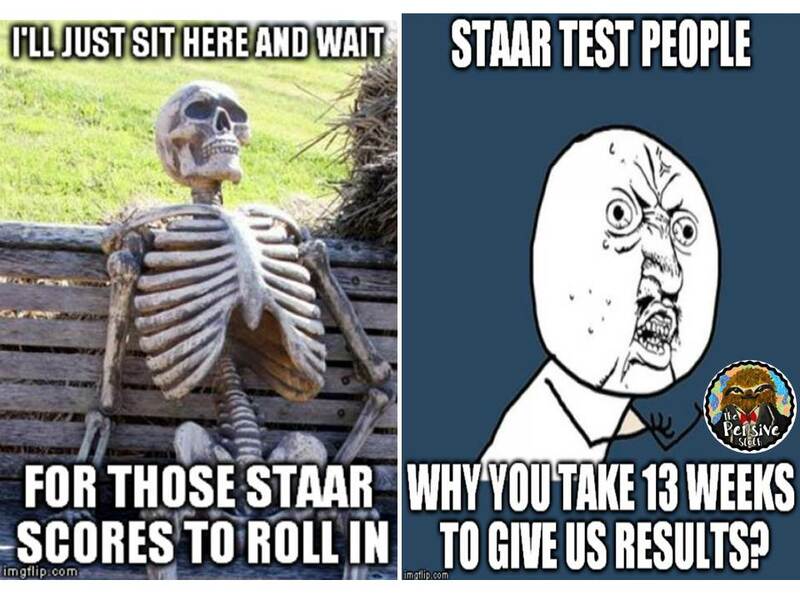 For reference, it took longer to get STAAR results than it takes to get SAT scores and about the same amount of time as it takes to get bar exam results back. That’s not the purpose of this post, though. I thought I’d make some fun graphs to show the growth, or lack there of, from last year to this year across the state of Texas. Here are the scores students need to pass the tests. In my book, passing is a 70 or above. 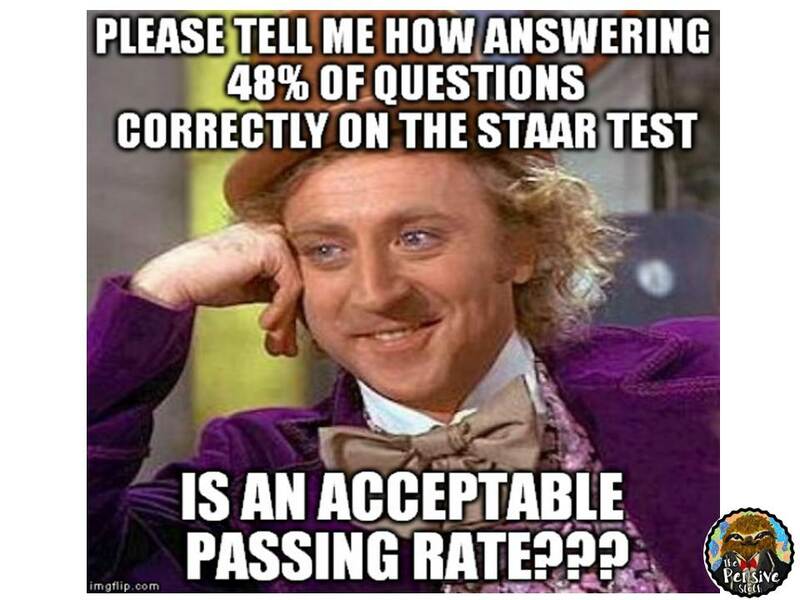 On STAAR, you only need to get in the 40s and 50s to pass. Most of the passing rates went up by one question, except science. Science stayed the same. 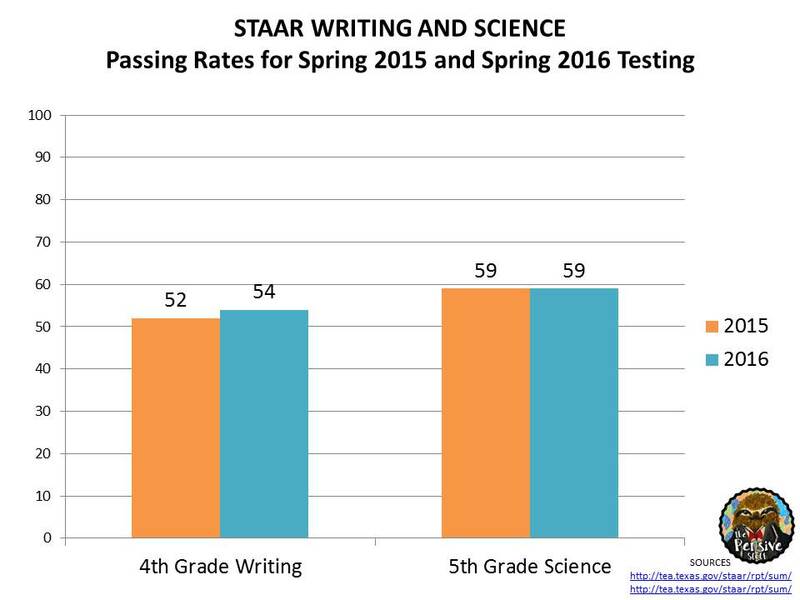 The writing test was also cut in half this year compared to last, but the percentage needed to pass still went up a wee bit. Don’t get me wrong…As teachers, when our scores come back, we’re glad that the passing rate is so low. But 48%, really? It doesn’t feel right. And we talk about it. So, now we look at whether or not students did better. The passing rates went up slightly, so that makes it a little difficult to compare. It would be helpful to know the average score on each test. I couldn’t find that data. 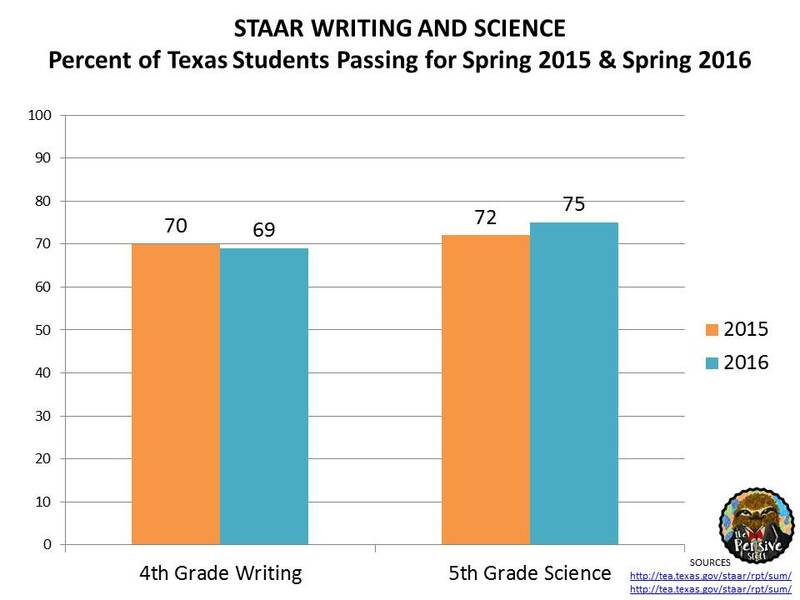 Here’s how many Texas students passed the tests. Minimal growth at the elementary level between 2015 and 2016. There were just as many downs as there were ups. None of them very significant, but it is hard to compare considering that kids had to get one more question right to pass this year. 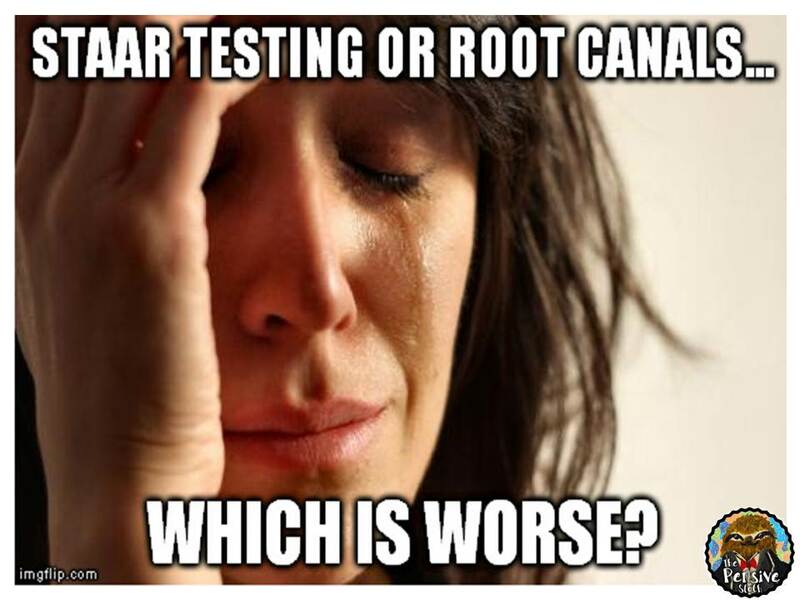 Plus we have a new publisher running the tests. Lots of variables in play! You can read the press release from TEA here. I wish I could find averages. I’d love to see those! I’m guessing there is more test prep happening now that publishing companies have had a chance to produce materials. Necessary, but certainly not my favorite part of the year. For me, it seems to last from January until May. And our low SES students get even more of it than our high SES kiddos. Scores will probably continue to rise slowly because of this. Plus, teachers can see the released tests now and make sure we are using the question stems. 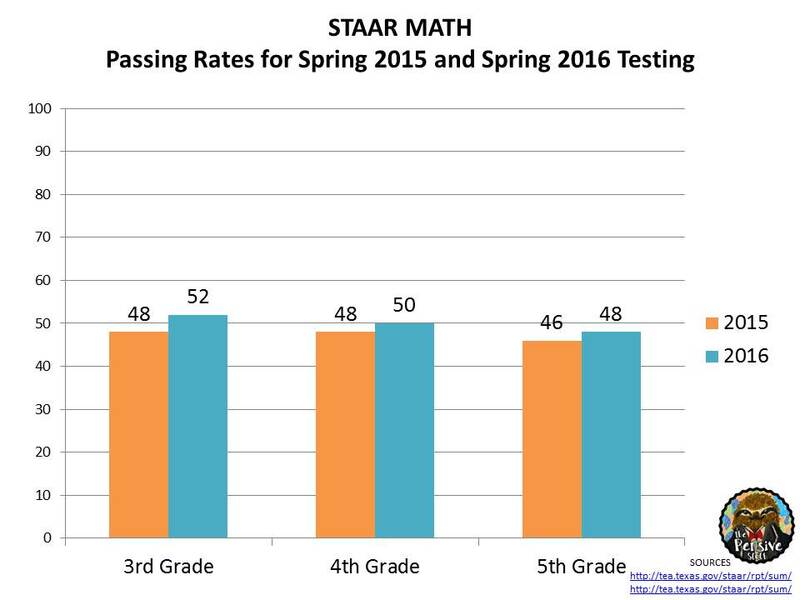 Passing Rates–These are the raw score conversion tables that show what students have to make to be considered as passing STAAR. 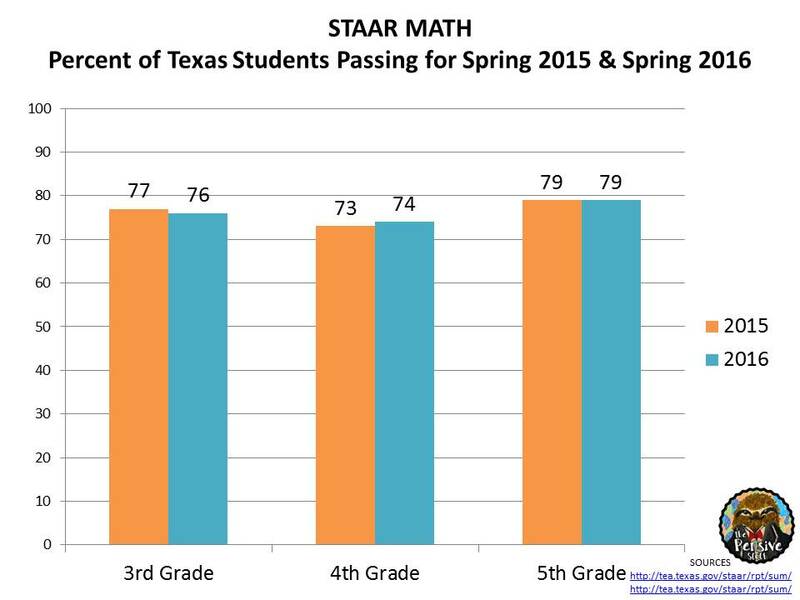 Percent of Students Passing–How many Texas kids passed the test? Check out the Statewide Summary Reports for more info. I checked and double checked my numbers. If you notice an error, please email me so I can fix it. Passing rates were figured by dividing the number of questions needed to pass by the total number of questions and rounding. 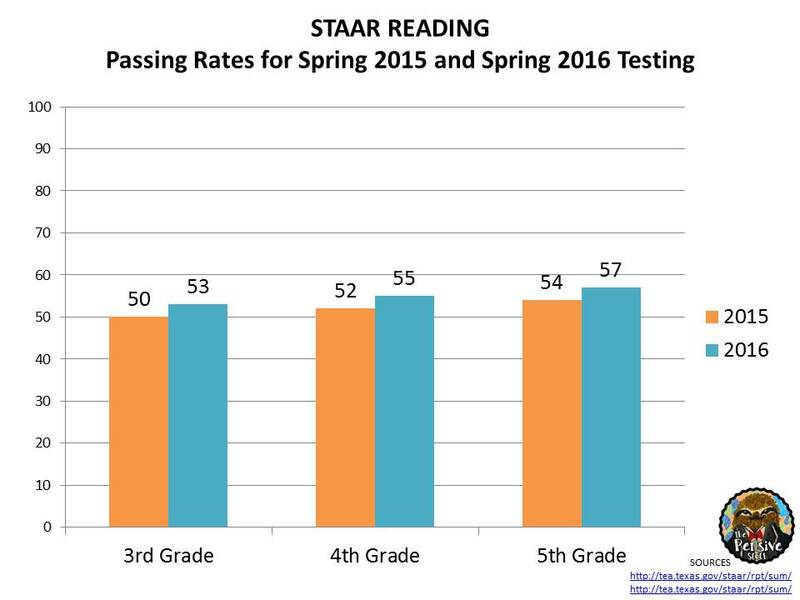 In my book, I’ll give the STAAR test a 48% and I guess that’s passing, right? What are your thoughts? Leave a comment below. Follow Blog via Email--Why not? I'm an upper elementary teacher in north Texas. I love tacky crafts, chilling with my dogs and husband, trying to grow things, writing, and making learning fun for my kiddos. Teaching is THE most important job in the world, but it's stressful. I hope that this blog provides ideas to make teaching and learning a little easier and a lot more fun! I also post funny things from time to time. If you've got a question or comment, or want to tell me a fun teaching story, feel free to send me a message at pensivesloth@gmail.com.